PHUKET: Phuket lifeguards have put out a warning to beachgoers to be careful of Portuguese man o’ war when entering the water at the island’s west coast beaches. 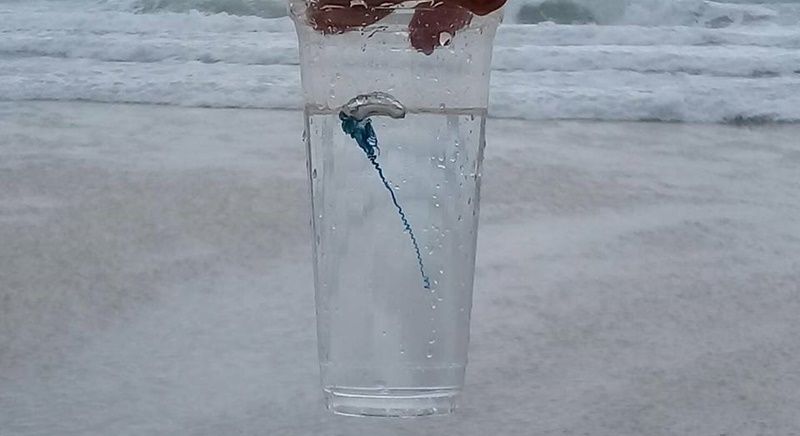 The Phuket Lifeguard Service yesterday (May 24) posted two pictures on its Facebook page showing the siphonophores at Nai Thon Beach along with a warning saying that they are coming as it is now monsoon season. It also warns that the tentacles of the Portuguese man o’war contain venom, and that they should not be touched as the venom can cause severe pain, sometimes worse if someone have an allergic reaction to it. Phuket Lifeguard Club Chief Prathaiyut Chuayuan told The Phuket News today (May 25) that lifeguards stationed at Patong, Nai Thon and Kamala should also be aware of Portuguese man o’ war at their beaches. “They are found more when storms and high winds hit the shore so all lifeguards stationed at the west coast beaches should be watching out for them. “Lifeguards and other officials who take care of tourists on the beach are always on alert and keeping beach-goers safe is their priority, especially with regards to no swimming zones,” he said. “Lifeguards have been provided with basic training on what to do should a swimmer get stung by a Portuguese man o’ war, and that is to wash the affected area with warm or seawater for 30 seconds to prevent the venom getting into the blood stream,” he added. And will the heroic life-guards actually be collecting them this year? Far more people are stung by Portugese Man-O-War by stepping on them on the beach rather than actually in the water. At Nai Thon last year I told the life guards about the dozens of them lieing on the sand. They did nothing.